As a condition of granting licensure, the Florida Department of Agriculture and Consumer Services requires that citrus fruit dealers post this surety bond. This type of license bond guarantees that fruit dealers will comply with local regulations on the purchase, handling, storage and sale of citrus fruits, аnd more specifically, the provisions of Sections 601.61 through 601.65 of the Florida Statutes. If you are a citrus fruit dealer, failing to comply with these provisions may lead to a bond claim, serving to compensate third parties for losses your actions may have caused. Citrus fruit dealer bonds expire annually on July 31st, and must be renewed if you want to keep your license active. The Q&A sections below contain more useful information on this type of surety bond, such as cost and tips for handling claims. If you want to learn more about surety bonds in Florida, consult our page. What’s the cost of this bond? Can I get bonded if I have bad credit? How do I apply for a citrus fruit dealer bond? How can I protect my business from claims? 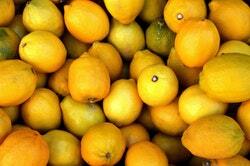 The penal sum of citrus fruit dealer bonds can vary between $1,000 and $100,000. In other words, this is the maximum protection the bond offers to a claimant. Once you know your total bond amount, you can get a rough estimate of your premium. Your premiums mostly depend on your credit score and credit report, although if your bond amount exceeds $50,000, you may need to submit personal and business financial statements too. Applicants with a good credit score usually pay between 1% and 3% a year, but those with a low score will see higher premiums– usually no higher than 10%. Our “What Does a Surety Bond Cost?” page contains more useful information on calculating your premium. The short answer is yes, you can. 99% of applicants can successfully obtain their bond– with a few exceptions, such as applicants with open bankruptcies or late child support payments. Keep in mind that you are considered a bad-credit applicant if you have no credit history, or if you have other credit issues such as tax liens or civil judgements. Applicants with a score of 650 or below typically pay between 3% and 10%, but there’s no need to search for co-signers or post collateral. Find out more about getting bonded with bad credit on our dedicated page. Our online application is fast, secure and simple. Simply submit the online form (takes no more than 5 minutes) and our knowledgeable experts will walk you through the rest of the process. We will contact you with a free bond quote and ready to answer your questions. As soon as we receive all the required paperwork and have processed your payment, we’ll get in touch with the surety bonds company and do our best to get your bond ready within 48 hours. Citrus fruit dealers are required to comply with the provisions of Sections 601.61 through 601.65 of the Florida Statutes. Otherwise, they may face a claim. If you have violated the terms of the bond agreement and you are notified of a claim, you must make good on it. Failing to do so would require the surety to provide the compensation, and then seek it from you. What’s more, it may make it impossible for you to get bonded next time you need to renew. Anyone can file a claim against your business by writing a complaint to the Department of Agriculture and Consumer Service, as long as they do so prior to May 1 of the year following your violation. When that happens, you will be contacted and must either make good on the complaint or present your response if you believe you are not in the wrong. If you fail to satisfy the complaint within the time prescribed by the Department, only then will it become a bond claim.